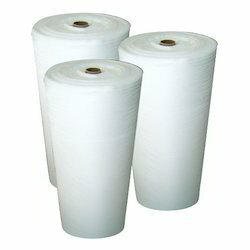 We are a leading Manufacturer of epe foam armour litelon roll from Ahmedabad, India. We are passionately engaged in manufacturing, trading and supplying an exclusive range of EPE Foam Roll. Our offered cross-linked foam is processed by consuming high-class components and advanced technology. Along with that, given cross-linked foam is also inspected by our team of quality specialist people for ensuring its quality. According to the details given by our customers, we are presenting this cross-linked foam in numerous specifications at pocket-friendly rates.